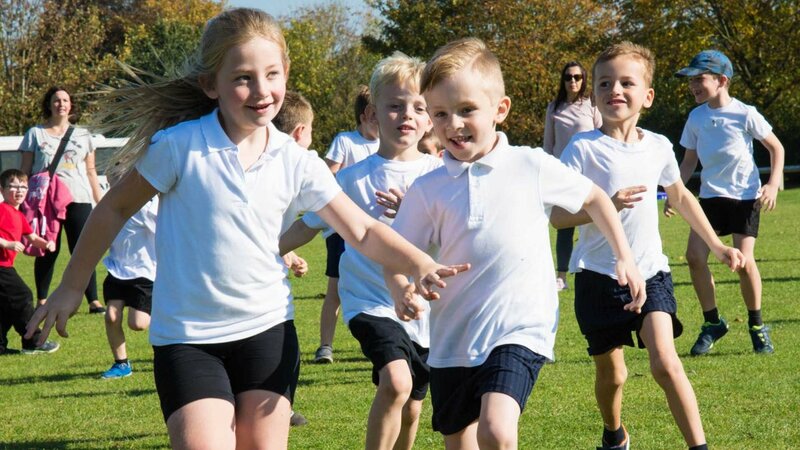 Over 500 Year 1 and Year 2 children from 16 different local schools competed in The Central Warwickshire Schools’ Sports Partnership annual Infant Agility Competition with our Prep pupils at the Kingsley Playing Fields. The competing schools included Briar Hill, Brookhurst, Clapham Terrace, Cubbington, Kingsway, Milverton, Our Lady & St Teresa’s, Radford Semele, Shrubland Street, St Joseph’s and St Peter’s from Leamington Spa, alongside St Joseph’s School in Kenilworth, St Lawrence’s School in Napton-on-the-Hill and Coten End and Emscote Infant School in Warwick. There was friendly competition, but with a lot of determination, teamwork and supportive cheering throughout the day. Children competed across different agility athletic events and games with a few children trying new events for the first time. Emscote Infant School’s team were the overall winners. Kingsley’s Sixth Form A-level PE Students assisted in the planning and organisation of this hugely successful sporting event, accompanied by Sports Ambassadors from both Kingsley and Campion School, who were supporting the younger children throughout the day.